It is always such a pleasure to be commissioned for maternity photography. 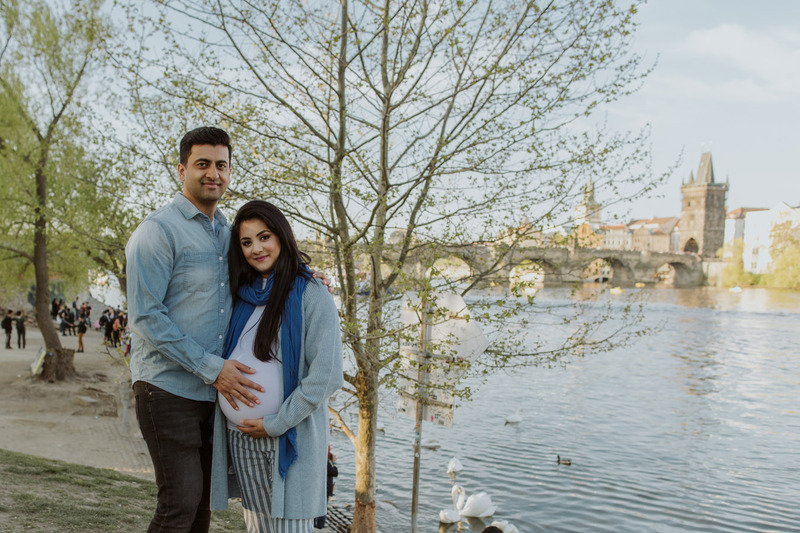 I specialise in creating beautiful, light-filled maternity photos in natural, historical, outdoor environments throughout Prague (although frequently clients travel to Prague and they wanted to take place at somewhere else such as national parks). 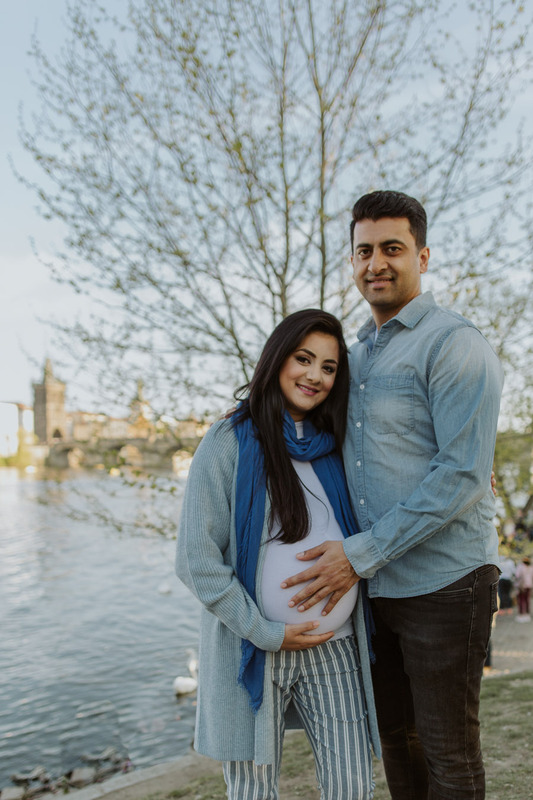 I also cover parts of Brno, Berlin and Pilsen Heath is locations for pregnancy portraits. My aim is to create beautiful, natural portraits of you during this important time. You can see my photography portfolio here. My style is very soft and feminine, making the most of beautiful natural light to create natural portraits alone or as a couple. I will help you as to where and how to stand so that you look your best, in the prettiest light. I also love to include your partner and any older children in the photos too – and dogs have been known to be part of the photoshoot. 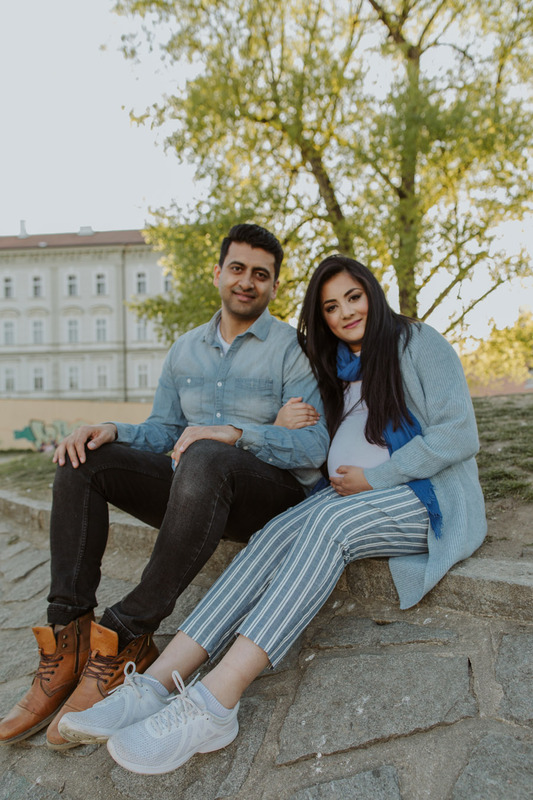 I generally recommend booking your prague pregnancy photoshoot to take place around the 30-34 week mark, or a little later if you have a smaller bump! Please note that maternity tends to be my most popular type of portrait photography and weekends in particular tend to get booked up at least a month in advance, or longer in the summer months. 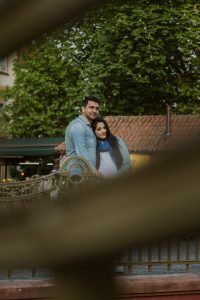 Obviously it is entirely up to you and your personal style as to what to wear for your maternity photos; the most important thing is that you feel comfortable! However, soft, floaty and feminine clothing in neutral colours or pastels photographs very well and will show off your growing belly beautifully. That sort of clothing also fits very well with my feminine style of maternity photography. For example, this might be a flowing dress or a simple tank top with a long skirt. I love to help my clients plan their outfits for their sessions and will give you as much input as you like! I do not provide props for your maternity photoshoot, but many clients do bring something sweet and meaningful to be included in some of the photos, such as tiny baby shoes.